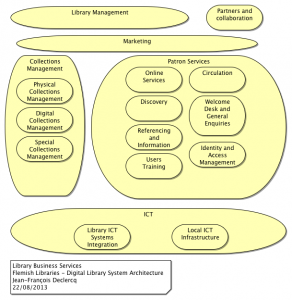 The reports of the study on the current and future system architecture of the digital library have been recently published. The term “digital library” is here used as a collective name for all of a library’s products, processes and services that are digital and/or automated. 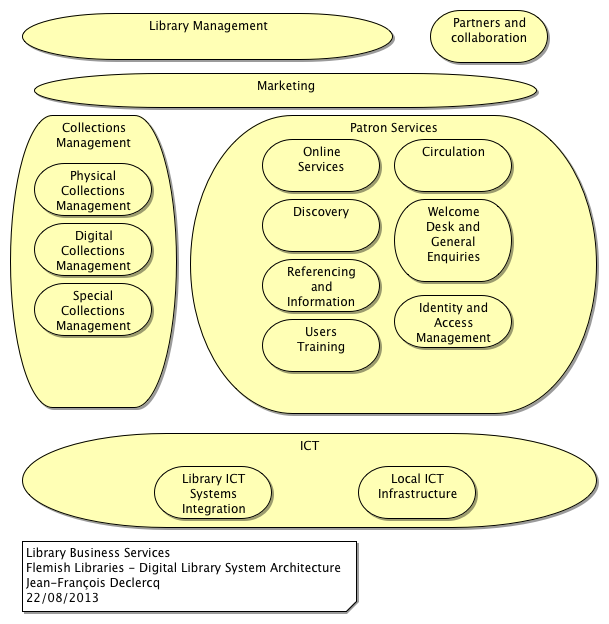 The future system architecture is in fact a generic future-proof ICT blueprint for a public library. The blueprint is a set of business services, business processes, Applications, SOA Services and technological elements documented in the Archimate notation.